This is probably one of the most anticipated sets and who can disagree? Everyone loves cows! Designer Copeland shares all the fun things about cows below. Make sure to check back on Thursday, September 5th to be the first to get a cow! A few weeks ago I sent out a Tweet that said, “Guess what? I’ve got a fever…” well today I’m here to tell you that the only prescription is more cowbell! That’s right… we’re going out to pasture with the all new “Milkin’ It Dairy Corral”! If you want an exciting new way to build up your Sims Hunger and Energy? Go milk a cow! The milk is a great boost to your Sims needs. Are you a bit lactose intolerant? 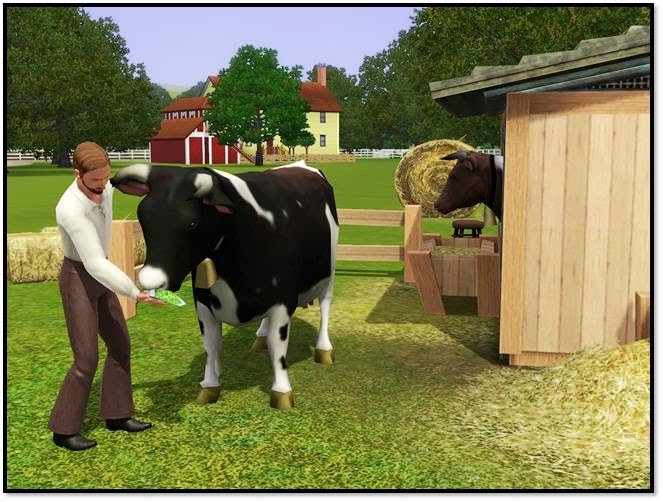 Then feed your cow some vegetables so she’ll give your Sim the option of Soy Milk for a few hours. Soy Milk has all of the benefits of milk, plus it’ll help keep your Sim young and revitalized! You also might find that your cow has a bit of a sweet tooth. 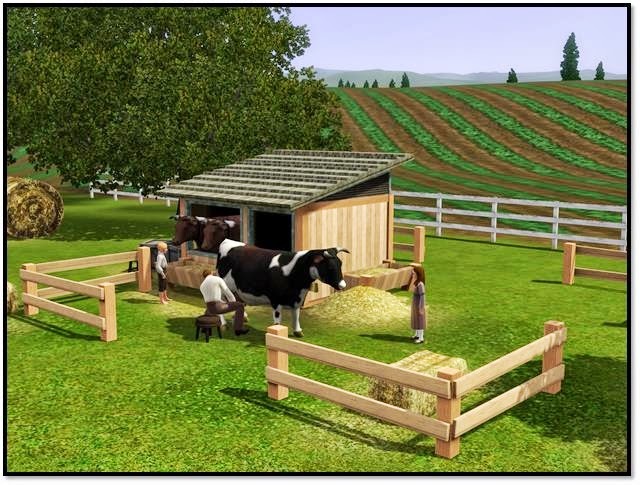 If your Sim does too they can feed the cow chocolate to help the cow produce Chocolate Milk for a bit. Chocolate Milk is a great Fun boost. 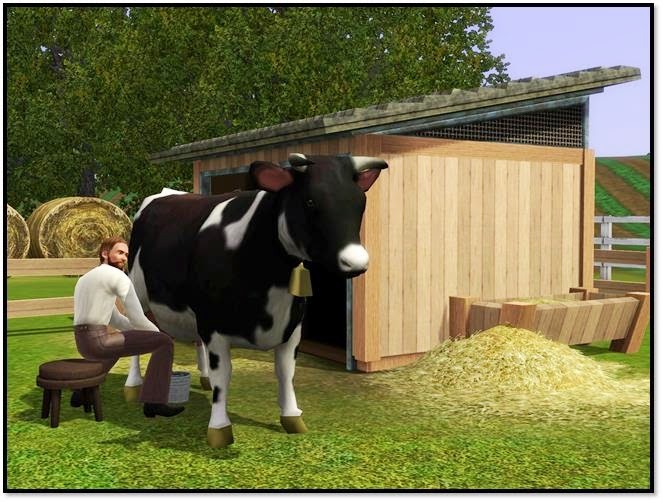 If you’re Sim is a bit mischievous, they might enjoy sneaking out back to do a bit of Cow Tipping. 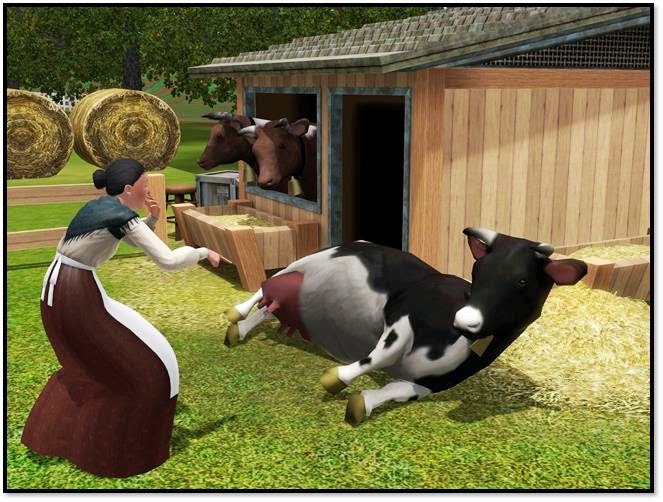 Cow Tipping is not only a good deal of Fun, it gives your Sim the new “Shaken, Not Churned” moodlet and all the tussling about will give your cow the option to make Milk Shakes (or even Chocolate Milk Shakes if combined with feeding chocolate!) But tipping cows can be a bit more difficult than you might imagine so try not to slip in a cow pie. 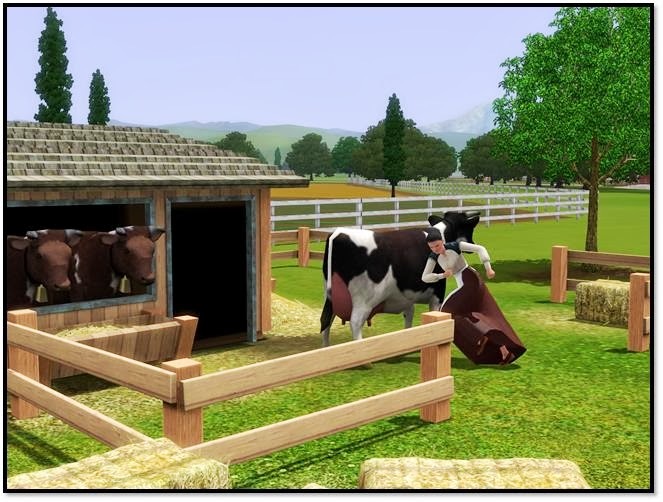 All of this may seem a bit silly, so if you’re Sim is looking for things to be a bit more logical they can build their Logic skill by challenging the cow to a game of Tic Tac Hoove. 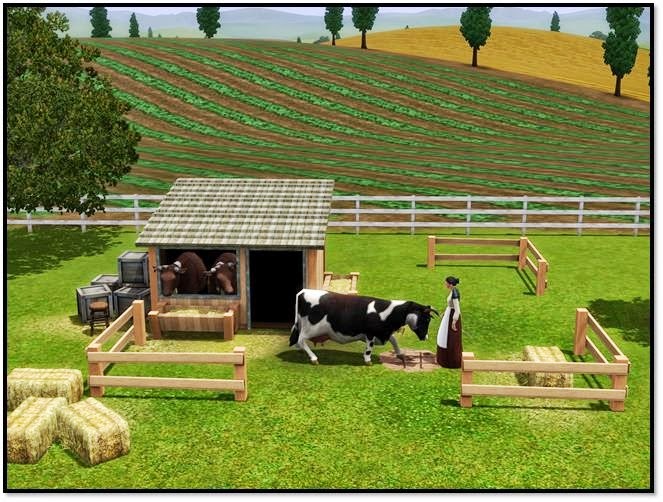 The “Milkin’ It Dairy Corral” comes out September 5th exclusively with the “Farm Fresh Folk Set”! Hahaa die is echt om te gillen! Had downloads voortaan afgezworen, maar ik begin weer heel erg te twijfelen haha:P Loopt die koe ook rondjes of staat die de hele dag op dezelfde plek? Even een vraag wil graag simpoints kopen om deze set aan te schaffen maar dit kan alleen via een creditcard of is er een andere mogelijkheid om via ideal te betalen? Als je eens kijkt bij betaalmethodes (onder het kopje store) dan zie je gelijk.